“Housing credit continues to rise supported by lower interest rates and economic growth. A housing bubble is unlikely to develop. Tonga has a rigid land tenure system with lengthy land registration. The secondary market for housing is very small and slow, with approximately 10 house sale transactions per each year. 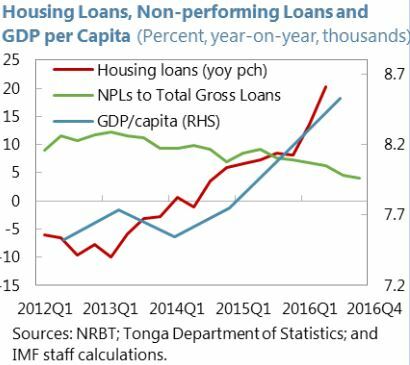 Most bank credit finances construction of owner-occupied dwellings and housing for personal use rather than for investment. The lending to households is collateralized, where land is the only asset that is qualified as collateral by banks. The limited time of land use depreciates its value as collateral over time. 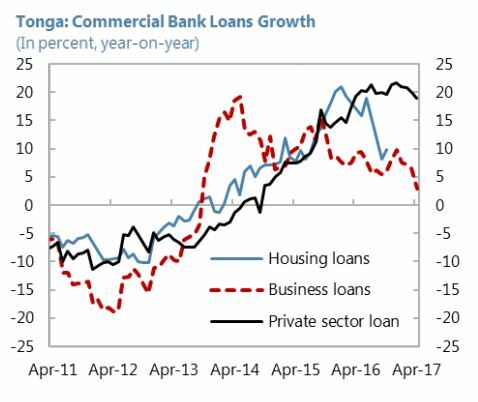 Housing credit continues to rise supported by (i) low lending rates for housing loans; (ii) revision of the Land Act; and (iii) other initiatives. Higher payments for import of construction materials driven partially by removal of custom duty on construction materials also contributed to the increase of housing credit.